Newport beach officially welcomes a new restaurant to our amazing selection here in Orange County with the opening of Lark Creek Newport Beach. They officially open their doors at Fashion Island today on Monday, August 5th. Lark Creek Newport Beach’s General Manager Chad Sisco brings over a decade of experience in running some of Orange County’s top restaurants. Lark Creek Newport Beach aims to provide a welcoming dining experience for dinner, lunch, and brunch with their seasonal, sustainable, farm-fresh cuisine. Lark Creek will feature open, airy space, an outdoor lounge, full bar, and private dining room. 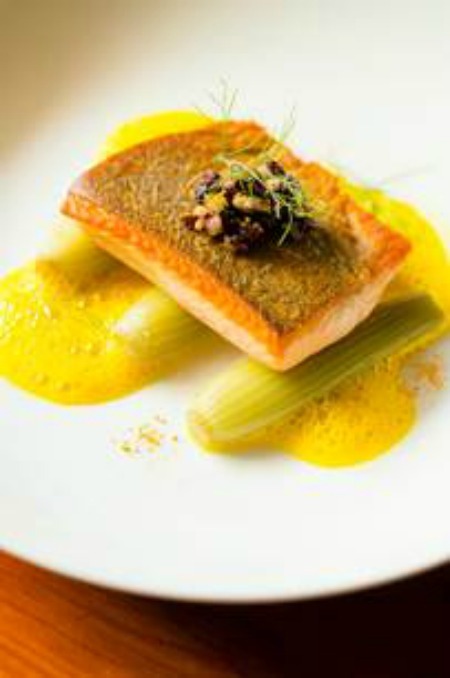 Menu highlights include Heirloom Tomato Gazpacho with cucumber sorbet and fennel pollen; Wild King Salmon with saffron and yellow bell pepper broth; and almond wood-grilled steaks like the “1855” New York Strip. One dish we are excited to try is their Nectarine Blueberry Crisp.